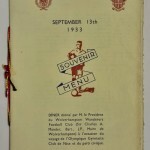 This is a very rare menu from the friendly match between OGC Nice (also known as Les Aiglons, or ‘The Eaglets’) and Wolverhampton Wanderers which took place in Wolverhampton on 13th September 1933. 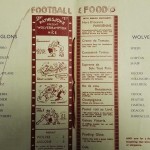 Wolves beat the French side 2 – 0, although we have no record of the scorers. 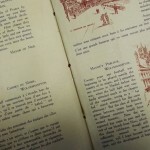 If you have some more information on this match we’d love to hear from you.